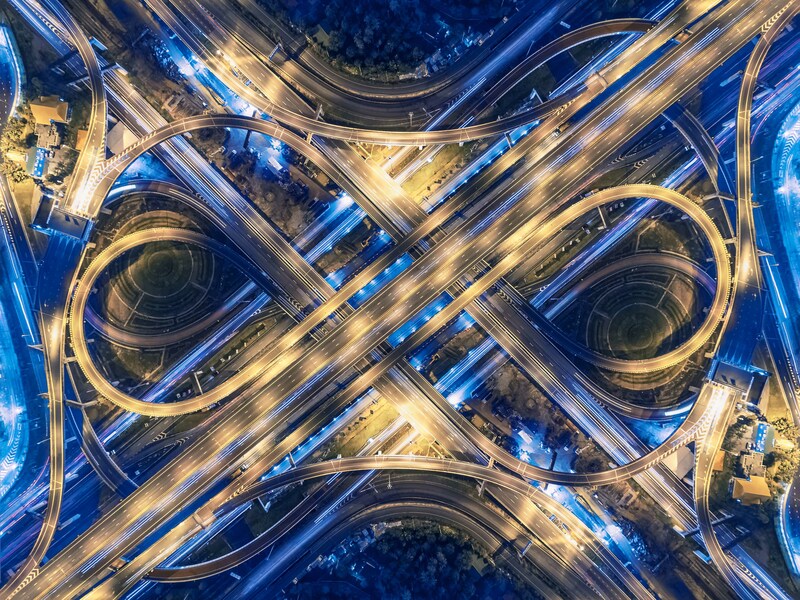 from http://www.cowen.com/reports/exploring-the-future-of-transportation/ and wondered what interchange it's based on. It's perfectly symmetrical so the creator likely mirrored it along the median or central reservation. Also, is the lighting real? The shadows suggest that it was taken at night, but the blue lights seem unreal (if not just oversaturated). 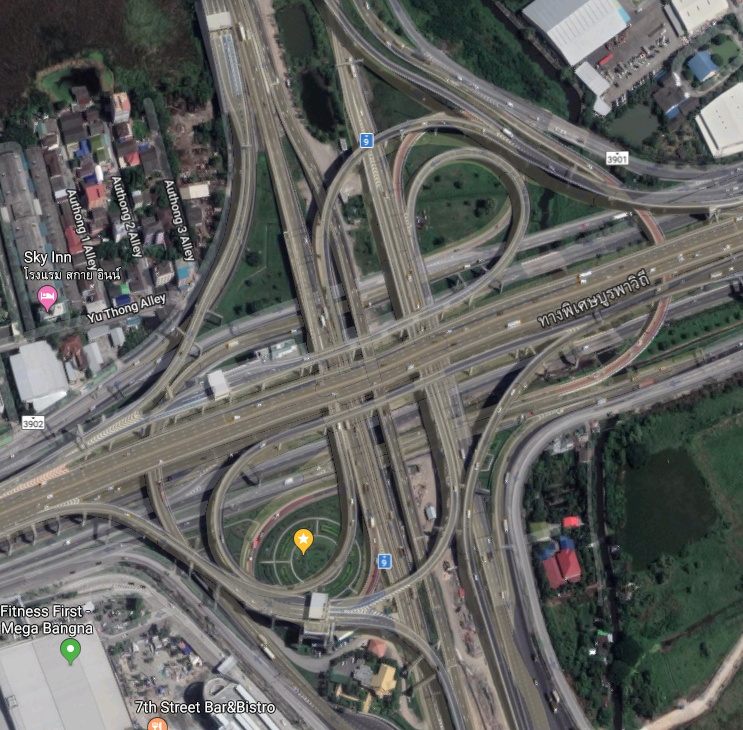 This seems to be an interchange just outside Bangkok, at 13°38'51.3"N 100°41'01.9"E.
It looks like the photograph must have been flipped along one of its axes in addition to the rotational symmetry introduced by duplicating and flipping the area south of Bang Na - Chon Buri Expy (the major toll road bisecting the interchange). Edit: Thanks Giorgio for reminding me to link the source for the photograph in the question by Anucha Sirivisansuwan, captioned Road traffic in city at thailand. Not the answer you're looking for? Browse other questions tagged driving identify-this photography or ask your own question.